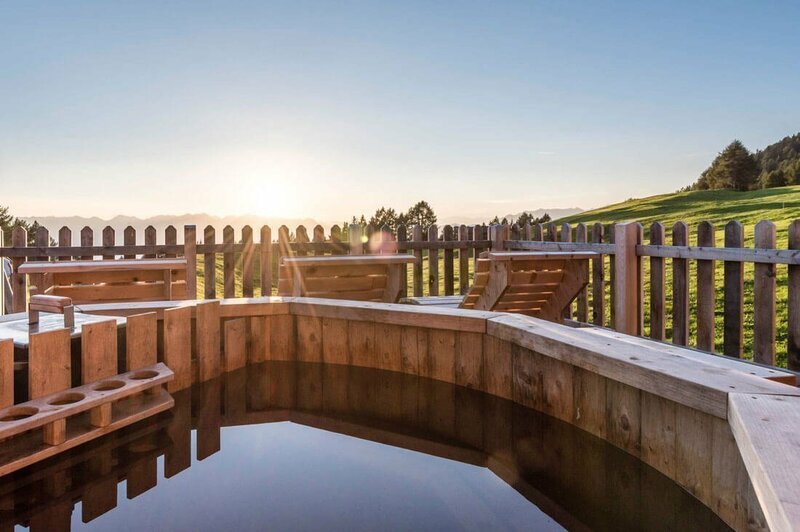 Just the combination of an active holiday and the alpine wellness makes many hearts beat for joy! In our Kreuzwiese hut you have the opportunity to enjoy wellness on the alp after an exciting and active day in the mountains. 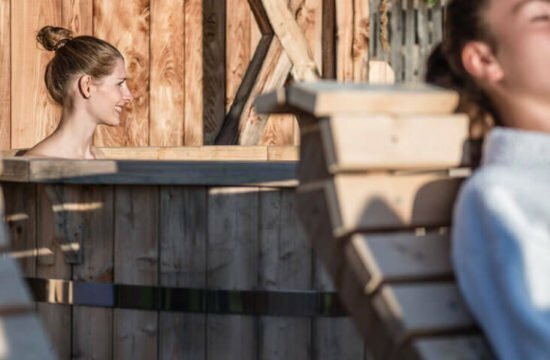 In our wood-fired sauna you can do something good for your body and soul. 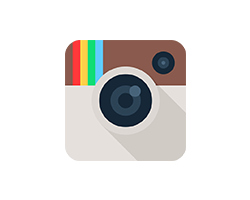 A sauna loosens not only the tense muscles, it also acts purifying. 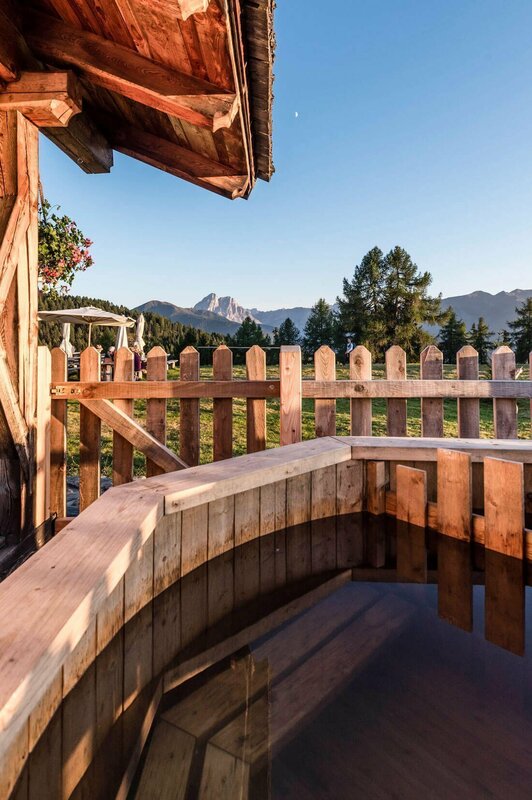 After a sauna, you will be able to put in motion the bloodstream with a bath in the refreshing pond. In the connected rest area, you can then completely surrender to your peace of mind and recall the day on the Kreuzwiesenalm once again with a satisfied smile. 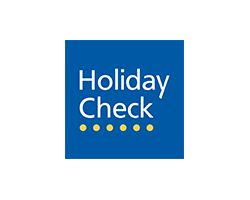 Alternatively you can read on a sun lounger the book, you have always wanted to read. 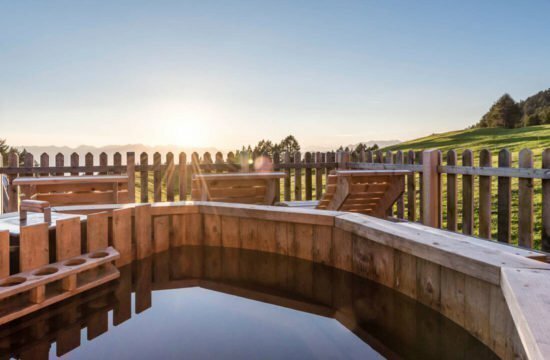 The alpine wellness entirely completes an alpine holiday. 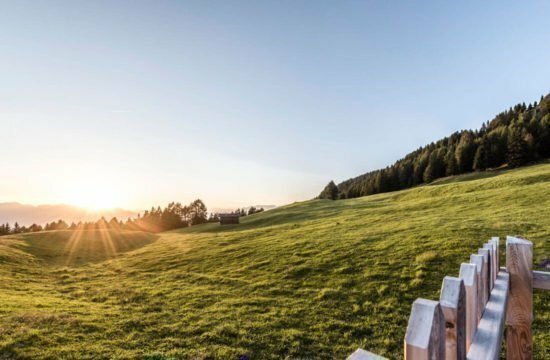 Of course for most of our guests the nature experiences at the Kreuzwiesenalm in Lüsen are in the foreground, but our goal is to offer you everything that makes a feel-good holiday at our hut absolutely perfect. 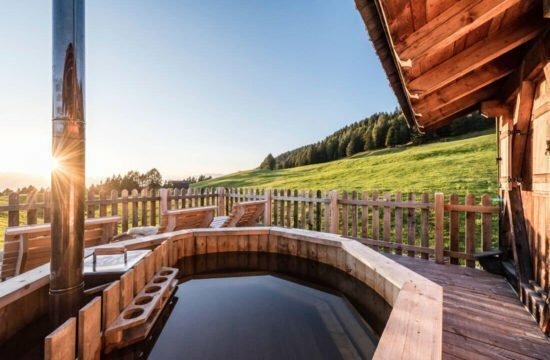 Wellness on the alpine pastures, the in-house bowling alley, the good food and the cozy sleeping and living areas together with the picturesque landscape of the Kreuzwiesenalm make a perfect holiday package. There is probably no better place in South Tyrol where you can turn your back on the stressful day. 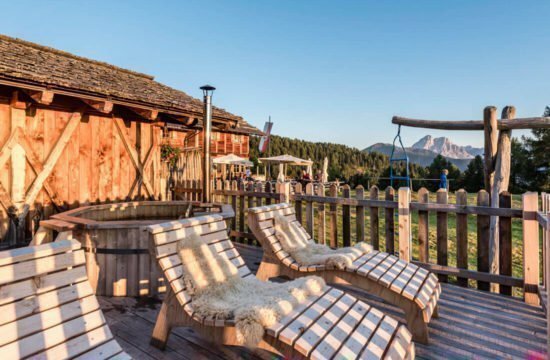 Experience a carefree alpine holiday at the Kreuzwiese hut – so see you soon! Back to yourself: On the Lüsner Alm you will experience a game of elements: sun, wind, water and rock. 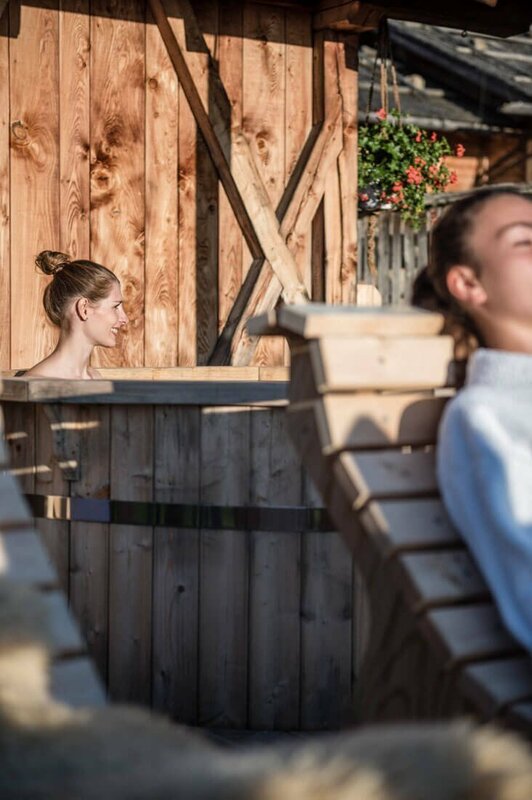 The power that this unique place exudes can also be experienced directly at our wellness alp: our hut with sauna invites all holidaymakers to sweat. 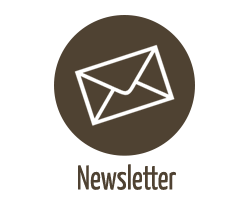 The pores open up, the circulation gets in motion, new energy permeates your body and you will feel soothing vital. 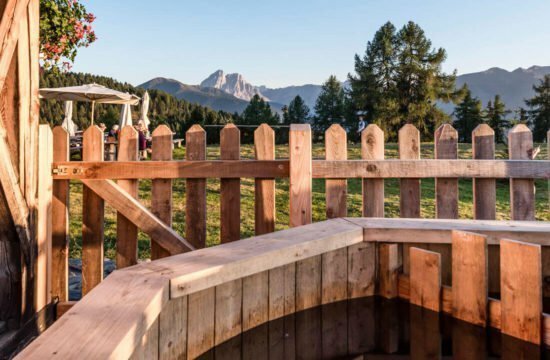 To the wellness on the alp also belongs our rustic wood tube, where you can refresh yourself after your sauna or on a hot summer day. Afterwards, you can relax on our sun terrace to your heart’s content and breeze over to the mountain peaks. For refreshment you can also enjoy a Kneipp bath in our natural pond – and a refreshing drink on our cozy terrace or in the alpine stube. 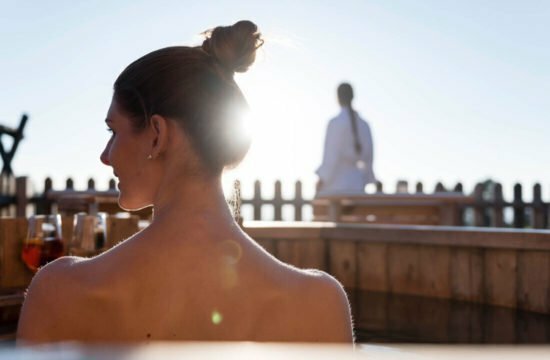 Our wellbeing facilities are made of nature and atmosphere, not of artificial SPA landscapes, in keeping with our concept for individualists. This makes the place more fulfilling than some other thermal springs. 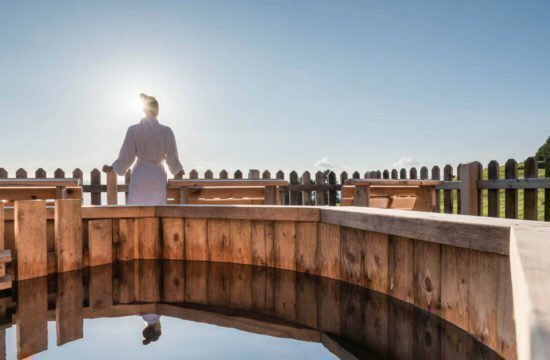 The Kreuzwiese wellness alp is ideally located for climatic reasons: open to the south and therefore to the midday sun, wind-protected in a soft-warm airflow, with only a few rainfall. Away from the hustle and bustle of the valley, holidaymakers can celebrate alpine wellness for body, soul and spirit, while at the same time taking care of their relationship with nature, animals, food and above all to rediscover themselves and go back to the origin. Wellness on the alpine pasture means also to find a place where the natural experience and the unadulterated pleasure go hand in hand.  The Kreuzwiese alpine pasture welcomes you to share this wonderful experience as a holiday guest with us.